In addition to providing deep-level responsive access into administrative functions without refreshing the page. Navbar module has a drawer section where it displays links provided by other modules. The drawer can be hidden/shown by clicking on its corresponding tab. 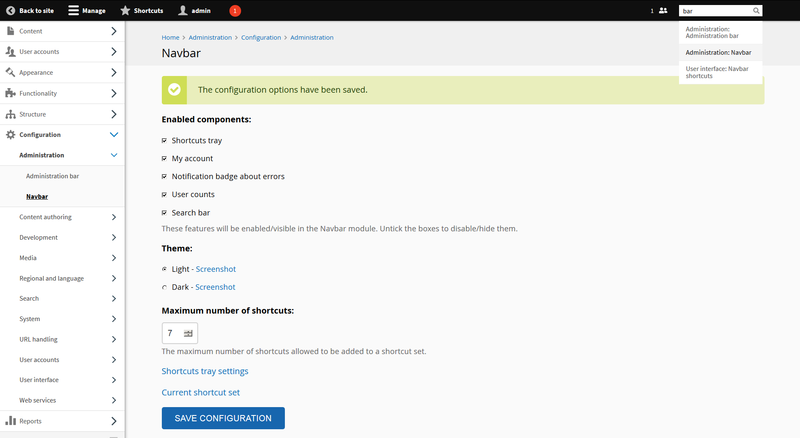 The Navbar module requires Backdrop core's Administration bar module, but Administration bar is suppressed if the Navbar module is enabled. 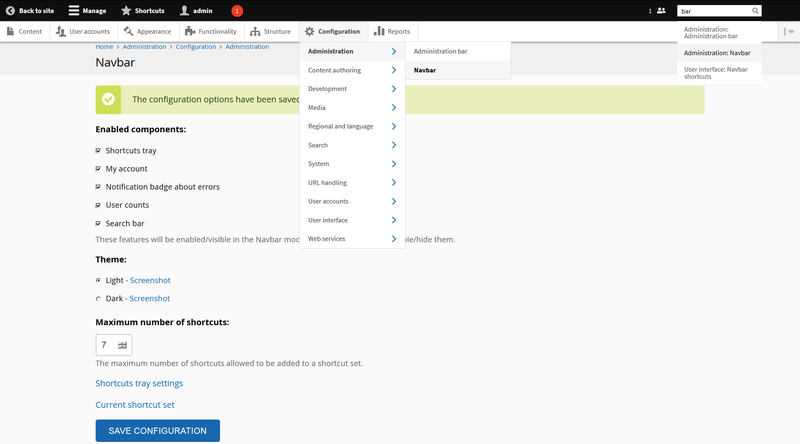 Enable Backdrop core's Administration bar module. If you add a top-level menu item that requires an associated icon, you can add the styling assets to the page with hook_navbar. Follow this example. Originally written for Drupal by Jesse Beach (https://www.drupal.org/u/jessebeach).